Shayla Samples grew up in Dwight, studied photography at Columbia College Chicago, and received a Bachelor of Arts in Photography in 2009. After college, Shayla worked in the Northwest suburbs of Chicago for three years taking newborn photographs for Bella Baby Photography. While working in the hospitals taking newborn photographs, Shayla was also busy shooting weddings, events, and family sessions around the Chicagoland area. 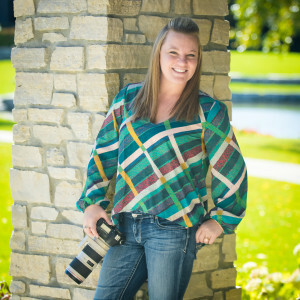 In late 2012, Shayla moved back to Dwight to be a 4th generation business owner, opening up Shayla Loring Photography, a full-service Photography studio specializing in weddings, events, and high school senior photography sessions. Along with being a DEA Board Member and Co-Chair of the Promotions Committee for the second year, Shayla is also a member of Professional Photographers of America (PPA) and Barrington Chamber of Commerce. To view Shayla Loring Photography’s website, go to www.shaylaloring.com.